Gluten is a generic term, that’s used to describe the proteins found in wheat and other cereal grains, which are classified into two groups, called prolamines and glutelins. Gluten has become a ‘red flag’ ingredient in many foods (for both people and pets) in the past few years, but what’s all the fuss about? Gluten intolerance or Celiac Disease, is an immune response that occurs in the human body, when gluten is consumed. The villi, which are tiny hair-like projections in the small intestine that absorb nutrients from food, become damaged during the immune response. Damaged villi don’t effectively absorb basic nutrients and gastro-intestinal problems occur. While dogs in general don’t suffer from true celiac disease (with the possible exception of Red Setters), gluten can be a problematic ingredient for many dogs, and can cause problems like gastro-intestinal upset similar to that seen in humans, as well as itchy skin and ear infections. In many cases, simply reducing or eliminating the grain content of the diet can actually reduce or even eliminate the need for prescribed steroids and antibiotic treatments, which are so often a conventional vet’s first port of call in trying to combat allergies. Many dogs literally end up taking prescribed medications for years on end, to keep their reactions under control – before their guardian finally makes the link to grain in the food bowl – and takes dietary action! Genetically modified (GMO) grains are thought to be especially risky for the gluten intolerant. Studies show that when butterflies and other species come in contact with pollen from genetically modified crops, they suffer a number of health problems, and genetic mutations eventually occur. It is possible that a similar thing happens when other species consume GM grains – especially species whose systems aren’t designed to cope with a grain overload in the first place, and they’re eating the same diet day after day for years on end. Chronic GI upset – intermittent or continuing diarrhea and / or constipation including mucus in the stools and flatulence. Vomiting may also occur in more severe cases. Repetitive chewing at the feet , as well as red and inflamed paw pads. Dermatitis – chronic dry and flaky skin, hair loss, hot spots, redness, bumps, rashes and constant scratching are classic signs of a food intolerance. Other health problems that may be related to food intolerances such as grain sensitivity include: arthritis, epilepsy, abnormal behavior, allergic and inflammatory reactions (including inhalant allergies due to a compromised immune system as well as conditions like pancreatitis and hepatitis, as well as an increased susceptibility to infection, Cushing’s, Addison’s, and thyroid problems. Some animal health experts think that long-term undetected food intolerances may be the underlying cause of degenerative diseases such as cancer, heart conditions and kidney failure, too. Of course not all health conditions are directly related to grain consumption, but the overload of grain and lack of general color and variety in most modern commercial pet diets is thought to deplete the animal’s natural state of good health and immunity over time, leaving him more susceptible to many problems occurring. When it comes to discovering whether or not your pet is sensitive to grains, there are a couple of different options to choose from. Diagnostic blood tests are available, but they’re not always completely accurate – and can be very costly indeed. A newer alternative is the allergen saliva test available from Nutriscan, and our very good friend Dr. Jean Dodds. Nutriscan tests for twenty of the most common ingredients in pet foods, and provides specific results about food intolerances and sensitivities. It’s non-invasive, and a much more convenient way to detect food sensitivities in dogs. An elimination diet is another great way to determine if your pet is sensitive to grains. It can be a time-consuming process, to pin down what foods cause their reactions, but for many pets, cutting out all gluten or feeding a completely grain-free pet food is the answer to painful and uncomfortable problems that have been plaguing them for years. Wheat, barley, rye and triticale all contain gluten. 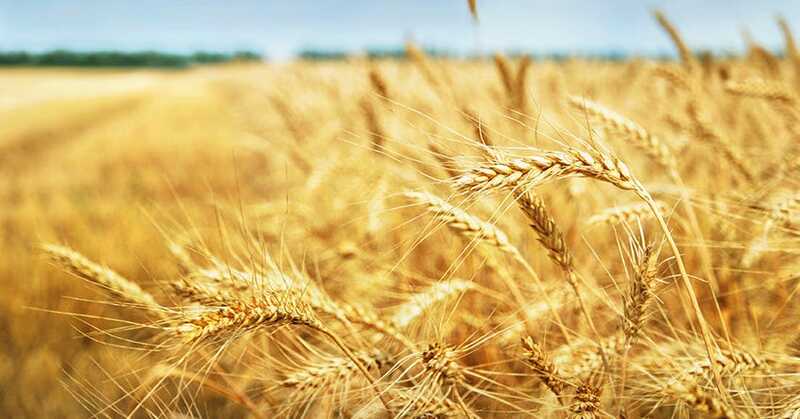 Oats, amaranth, buckwheat (which is actually a seed and not related to wheat), millet, rice and quinoa are all free of gluten but may have the potential to pick up small traces of gluten during processing in facilities that also mill glutenous grains. Other gluten-free starches include garbanzo beans, lentils, nuts (remember dogs must not eat macadamia nuts), maize / corn, fava beans and cassava. Cats are more selective about food by nature and anatomy. Their ancestral diet consisted of small rodents. Just as is the case today, their usefulness to humans had a lot to do with their eagerness to dispatch the rodents so plentiful around human habitats. However, some individual animals actually do need a certain amount of grain in their diets, to maintain a healthy body weight or because they get dry skin and dull hair when they go ‘grain-free’. As with almost every aspect of holistic health, the answers vary depending upon the individual animal. Even littermates can vary from one another, in their requirements. One pup might get an ear infection every time she eats any sort of grain. Another might be able to tolerate just oats or rye but not wheat – and a third might end up thin and uncomfortable when fed only meats and veggies. Most modern commercial pet foods contain way too many glutenous carbohydrates, poor quality protein, and insufficient moisture. A highly processed, grain-based diet fed to an animal designed to thrive on a meat-based, fresh food diet is very likely to produce symptoms of ill-health over time. Diets to address disease most frequently deal with the symptoms that are the result of a lifetime of inappropriate food, not the true cause of their symptoms. The optimum diet for a dog or a cat should closely resemble their natural diet. A diet heavily weighted in grain promotes insulin production and the production of inflammatory chemicals. Over-production of insulin makes it hard for the body to maintain its correct weight, which can lead to diabetes and other problems. An overabundance of inflammatory chemicals means more aches and pains. A word of caution: Diabetic animals or any other animal with a medical condition making a switch to a more protein-based diet should be under the close supervision of a veterinarian. Many diabetic pets do require some complex carbohydrates, often in the form of whole grains, in order to maintain more balanced blood sugar levels. If your pet suffers with chronic itchiness, digestive upset, ear infections or some of the other conditions listed here, give a grain-free diet a try for a few weeks and see if you notice a difference, You might be pleasantly surprised!